I have always been the type of person to nip in Primark, just to pick up a few basic bits like black leggings, some simple underwear or to stock up on a pack of hair ties.. Sometimes I am pleasantly surprised that they may have the odd knitted jumper that looks quite good quality, but recently I have been warming to the beauty section.. Some things are a winner, some things not so much! Im normally a Nivea lover when it comes to moisturisers and everyday skincare, because although my skin is very normal, I do have psoriasis which means I can occasionally have very sensitive areas on my face and body and feel the Nivea range works best for me. Ive always been nervous about using beauty products from clothing shops, but after buying some makeup from other brands and loving it I thought I would give this a chance! The packaging looked so cute on the Primark range and I’ve heard a few good things about these products so wanted to give them a go and tell you guys my honest opinions about them! In total I think there was about twelve products to choose from, I chose three that I would actually use on an everyday basis and that I’ve been wanting to try for a while. I have always been a fan of using an eye serum to keep my eye area looking youthful and refreshed but when I tested the Primark Anti ageing roll on version on the back of my hand, it felt very sticky and didnt sink into the skin which I didnt like so decided not to purchase this one, especially because it would be used on a sensitive area of my face! So far I have been using these products for nearly two weeks and I love all three! 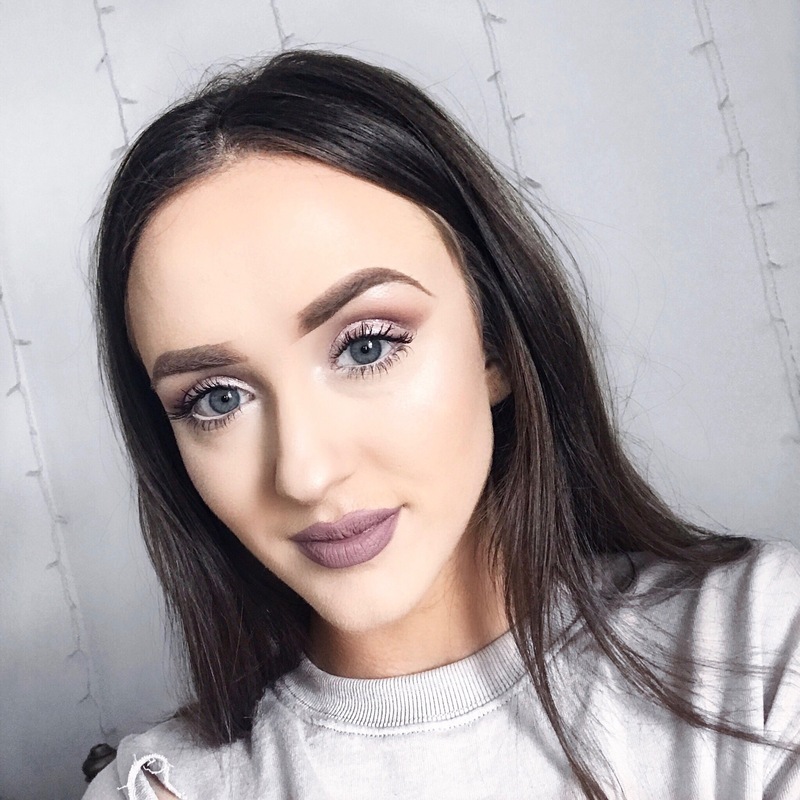 Let me know if you have used any of the other Primark products.. Id love to know your thoughts too! I have been using different Micellar water products for probably nearly two years now, the Garnier version being the one I have been using daily. However, this ran out just before christmas and I had been in need of a new one for a few weeks. I went into Primark on the off chance of finding some products and for £2 I couldn’t resist picking this up to give it a try. Its a large 430ml bottle which is amazing for the price and the packaging is in this gorgeous baby pink colour. On the bottle it says its infused with Rose and Vitamin E which both have great benefits of preserving younger, healthier glowing skin! The rose water contains moisturising oils that have anti-bacterial and anti-flammitory properties to actively help sooth dry skin. With it being a natural toner, it helps to close pores meaning your skin will feel fresher and will reduce wrinkles! The Vitamin E acts as an antioxidant which will in time help to repair your damaged skin and ensure that you are keeping your skin well balanced and protected. I have been using this twice daily, in the morning before I do my makeup and in the evening after I have taken my makeup off. It makes me feel so fresh and my skin feel extremely hydrated! You can use it to move makeup also as it is a cleansing water but personally I wash my face with a cleansing face wash then apply this after using a cotton pad.. Next time I go to Primark I am definitely going to be stocking up on this! Its definitely a must have product for such a little amount of money! For a long time now I have been obsessed with using face masks. I do one twice a week and they literally make me feel so calm and relaxed. 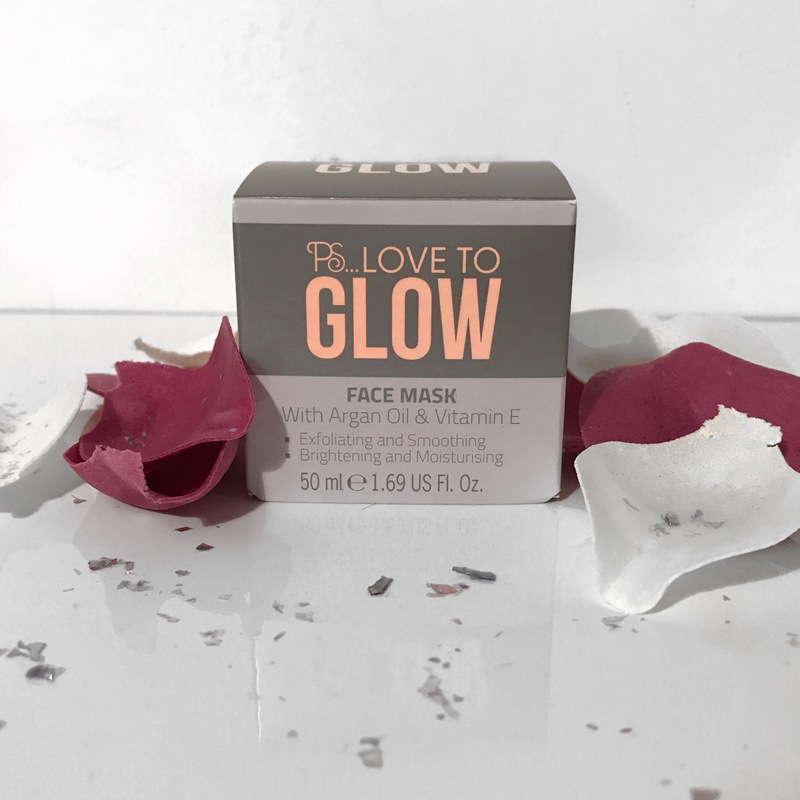 I have so many different products at home and am always on the look out for new masks to try and found this one which is infused with Argan oil and Vitamin E. The packaging is right up my street, white grey and rose gold! It comes in a little pot which is 50ml and I think it retails for £3.. (another great bargain!) I have used this twice a week for two weeks now and my skin feels so radiant.. This product is an exfoliating mask so if you rather a smooth mask this one may not be for you but I love it. I gently massage it into my skin after removing my makeup and leave on for 5-10 minutes depending on how quickly it dries. When it has been left on for an adequate amount of time I use a damp wash cloth to gently remove the product and then go in with my micellar water after wards. Argan oil is one of the best things I believe you can use for your skin.. It not only seals in moisture, but it also protects our skin from free radicals and other damaging effects from the outside environment. 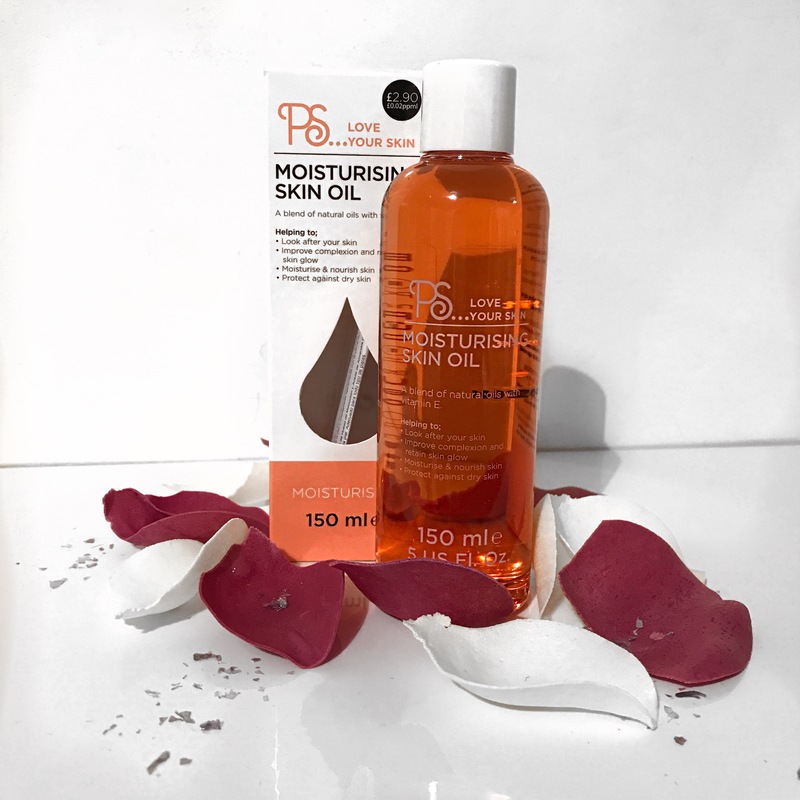 Because it is such a light oil, it doesn’t clog your pores and is extremely gentle especially for people with sensitive skin or people who battle with eczema or psoriasis (like me!). When I first used the product I noticed that obviously it being an oil, it doesn’t sink into the skin straight away, so I have decided to use this every night before I go to bed so that it has over night to work its magic! However, with this being said I think it does everything it says on the bottle! I apply this using a cotton pad gently to my skin making sure I apply it to my neck as well. My skin doesn’t feel dry at all and constantly feels nourished and smooth.. I’ve even told members of my family to go and purchase it because its definitely a must have and they love it too! Definitely worth a try if you are on the look out for new skincare products without the expensive price tag!